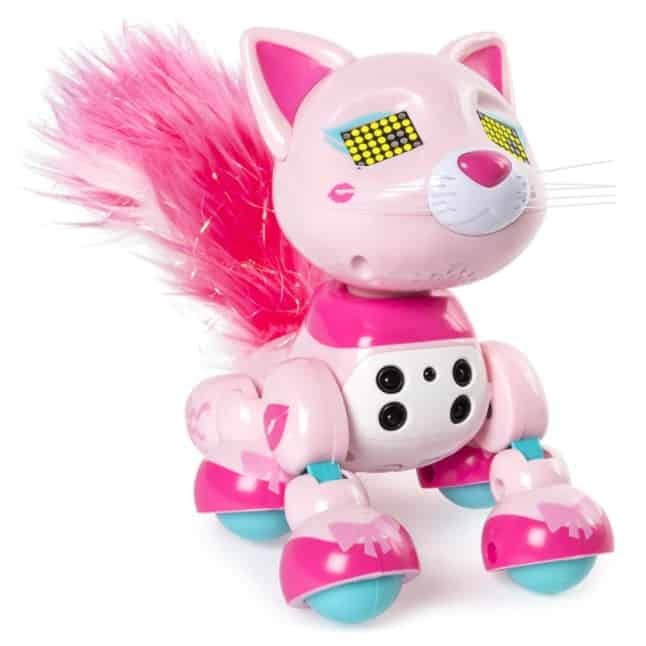 The Zoomer Meowzies, Lux, Interactive Kitten with Lights, Sounds and Sensors is on sale for $17.49 at Amazon right now. That's 50% off the list price of $34.99! Lux is the fashion-forward Meowzy with a fluffy tail for petting! She enjoys cuddling, playing games and showing off her glittery tail. The more you play with Lux, the happier she’ll be! Her interactive games, cute kitten sounds, and secret trick ensure you never run out of things to do! Zoomer Meowzies love to play together! Collect Chic, Lux, Runway and Posh, each sold separately – together they socialize, play games, meow and more! Great gift for kids ages 5+ and require 3 AAA batteries (not included). Or you can get Zoomer Meowzies, Chic, Interactive Kitten with Lights, Sounds and Sensors for the same price! Chic is the fashion-forward Meowzy with a fluffy tail for petting! She enjoys cuddling, playing games and showing off her glittery tail. The more you play with Chic, the happier she’ll be! Her interactive games, cute kitten sounds, and secret trick ensure you never run out of things to do!